Back in the late ’70s and early ’80s, when The Clash was a living band — “The Only Band That Matters” according to the hype — you never would have guessed that they would be joining Elvis Presley, Johnny Cash, and The Beach Boys as one of the most repackaged, rereleased, reissued, and recycled musical acts of the 20th century. 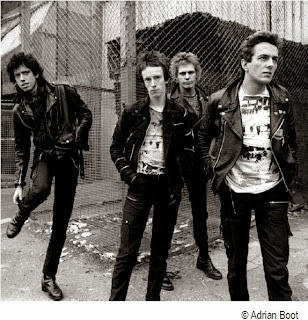 Indeed, Joe Strummer, Mick Jones, and Paul Simonon seemed to the very embodiment of rock ’n’ roll rebellion, combining the passion of protest music with the crazy fire of punk rock, colored by the righteous rage of reggae. But its true, even though The Clash’s discography is modest compared to those others. In their career, The Clash only made six albums (though London Calling was a double record and Sandinista! contained three LPs). 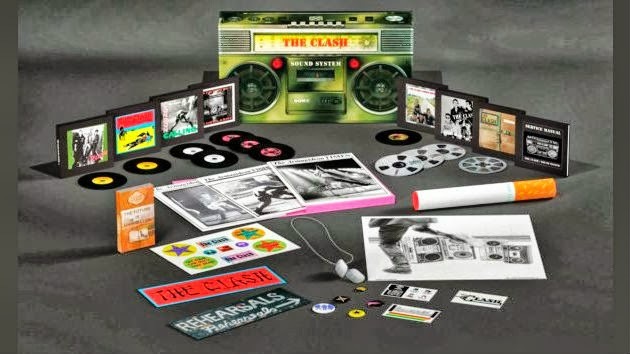 Even so, it seems every time you turn around, there’s a new Clash compilation or box set popping up. There was The Story of The Clash Vol. 1, a double CD set from 1988; Clash on Broadway, an impressive three-CD set released in 1991; and The Singles, just one disc, from the same year. Skip ahead to 2003 and you’ll find the double-disc The Essential Clash. In 2006 there appeared another collection called The Singles, a box set with replicas of every commercially released single as well as a stray EP. And then there is the massive 11-CD-plus-a-DVD Sound System, which includes all the albums (again, minus Cut the Crap) plus a deluge of non-album singles, songs from EPs, live material, demos, outtakes, and oddities, including some tunes I’d never heard before like “The Beautiful People Are Ugly Too” and “Idle in Kangaroo Court” ( both outtakes from what would become the album Combat Rock). Sound System is selling for $177 and change at Amazon ($100 for the MP3 version of the songs). All these new products strike me as serious overkill. I can’t help but imagine the late Strummer rolling over in his grave at the idea of such an expensive extravaganza with his band’s name on it. And yet, I also worry about the fact that, despite the endless stream of Clash compilations, there are those who never knew the pleasures of “White Riot” or “London’s Burning” or “This Is Radio Clash” or even “Should I Stay or Should I Go.” It tugs at my conscience that there are bored kids in the U.S.A. who have never heard “I'm So Bored With the U.S.A.” So if these new Clash products stir up some attention for this glorious band and help lead new generations to them then heap on the hype. Kids, heed the call and pick up a copy of The Clash Hits Back (truly a bargain at $10) or better yet, the Clash’s first, self-titled album, Give ’Em Enough Rope, and/or London Calling, and prepare for revelation. Listening to several hours of The Clash in preparation for this column inspired me to compile a couple of lists. Clash covers: a Magnificent Seven (and no, The Clash’s song of that title was not a cover of the Elmer Bernstein Western theme). 1. “I Fought the Law.” The original was by The Bobby Fuller Four, written by Sonny Curtis, one of Buddy Holly’s Crickets. Fuller’s version was great, but The Clash actually topped it. The refrain is the same: “I fought the law and the law won.” But Strummer and crew sound like they want a rematch. 2. “English Civil War.” This is a blazing update of “When Johnny Comes Marching Home,” which was written during the American Civil War by bandleader Patrick Gilmore, an Irish immigrant. According to the Library of Congress’ online Performing Arts Encyclopedia, Gilmore wrote the song in 1863, when he was posted at occupied New Orleans, serving as a Grand Master of the Union Army, with the duty of reorganizing the state military bands. Though “When Johnny Comes Marching Home” was an upbeat “support the troops” song that became popular in both the North and South, its melody is based on an old Irish anti-war protest song, “Johnny I Hardly Knew Ye,” which is as mournful as The Clash’s mutation of the song is ferocious. 3. “Brand New Cadillac.” First recorded by British rockabilly Vince Taylor in 1959, one of my favorite versions is the rockabilly/swing cover by Wayne Hancock. 4. “Junco Partner.” This is a New Orleans staple about a junkie who was “knocked-out loaded,” first recorded by James Waynes in 1951, though I’ve always been partial to the Professor Longhair version. 6. 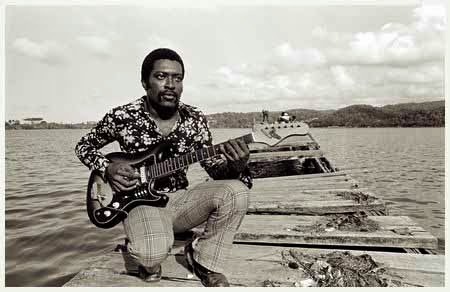 “Wrong ’Em Boyo.” This was a rewrite of a song — “Wrong Emboyo” by a Jamaican band called The Rulers — which in turn was drawn from the classic early-1900s outlaw ballad “Stagger Lee.” Both The Rulers and The Clash start out with a verse that sounds like Lloyd Price’s hit R&B version of the song. 7. “The Man in Me.” Bob Dylan did this on his 1971 album New Morning. 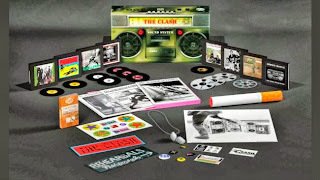 The Clash’s lo-fi, reggaefied version wasn’t released until 2004 as part of “The Vanilla Tapes,” an old reel of demos that became Disc 2 of the 2004 London Calling 25th-anniversary reissue. I’ll admit this isn’t in the same stratosphere as any of the previous covers. I include it just to show the range of The Clash’s influences. My favorite versions of Clash songs by other artists. 1. “Rock el Casbah” by Rachid Taha. Algerian-born singer Taha’s take on “Rock the Casbah” is sung in Arabic and is even heavier on percussion than The Clash’s original. 2. “Lost in the Supermarket” by Afghan Whigs (from Burning London: The Clash Tribute). This soulful take with Gregg Dulli on lead vocals and Harold Chichester doing a trademark falsetto response, was the best track on this various-artists album. 3. “Train in Vain” by Dwight Yoakam. This is Bluegrass Clash! And yes, that’s Dr. Ralph Stanley himself playing banjo and singing on a Clash song.